SEATTLE -- Frustrated with dog owners who refuse to clean up after their pets, an increasing number of apartments in Seattle are opting to use DNA testing to identify the culprits. 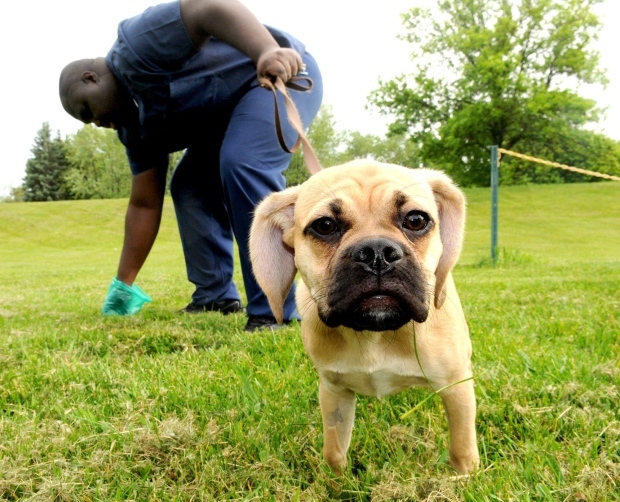 The Seattle Times reports that a company called BioPet Vet Lab from Knoxville, Tennessee, is providing its PooPrints testing kits to 26 apartment and condo complexes and homeowners associations in the region. Erin Atkinson, property manager at Potala Village Apartments in Everett says the messes are all over. "There was poop inside the elevators, in the carpeted hallways, up on the roof," Atkinson said. "They're lazy, I guess." That's why, since February 2014, tenants have been paying a "one-time fee of $29.95 for DNA testing." BioPet says in the past five years, the DNA test has been used in nearly 1,000 places around the U.S., and it's especially popular in Miami, Dallas, Los Angeles and other large cities. The marketing took a little longer to reach the Northwest, but King-Snohomish-Pierce counties are opportune sites. They are home to about 811,000 dogs. Seattle has 50 per cent more dogs than kids, the Times said. One study said dogs in that three-county region are responsible for about 268,000 pounds (121,600 kilograms) of droppings a day. "One person was fined five times in one week," she said. "That's over $500. Now people clean up after their dogs." Atkinson says that residents at the complex are "mostly on board" for having their dogs' DNA tested.